Closer to Kuta than Petitenget, both in location and style. We found the place closely located to all the action in Kuta though very quite. It is just off the busy street in the touristy part of Kuta, with the beach, malls, high-end hotels and restaurants etc a few minutes walk. 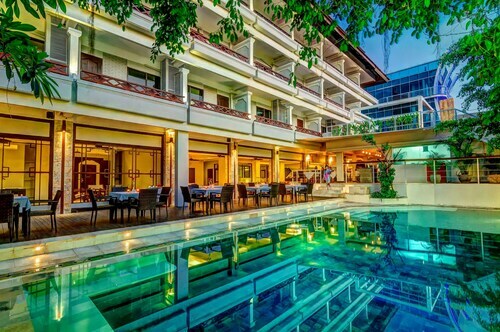 This hotel is right off the beach and off of double six street, Really good location for walking to Kuta and to the higher end hotels in both directions .The grounds at this hotel are really nice , (a little weird with the very large statues around the grounds) . Staff were extremely friendly and helpful. Loved the free airport transfer service they offer. 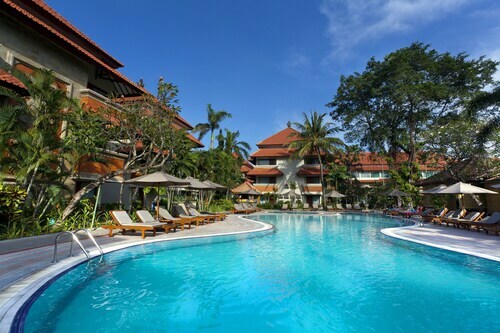 Where to find Kuta hotels near an airport? How can I find hotels in different Kuta neighborhoods? 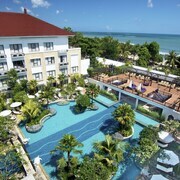 Where can I find hotels in Kuta that are near tourist attractions? 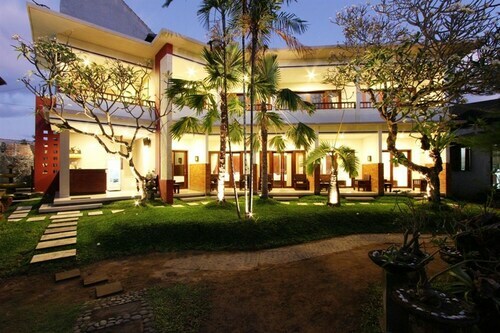 There are multiple accommodation options for those after a nice room in or around Kuta. There are no less than 1295 accommodation options within 0.1 kilometres (0.06 miles) of downtown Kuta on our comprehensive booking pages. 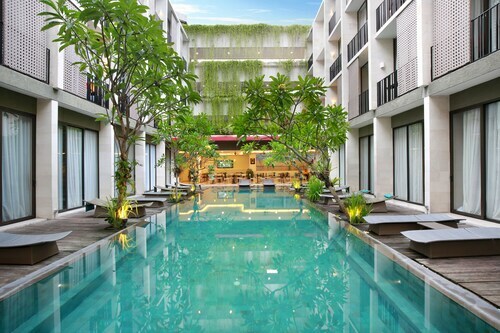 Booking a room close to the inner-city sights and action of Kuta has never been easier. 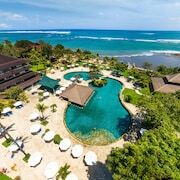 Expedia's database features the Villa de daun and Sheraton Bali Kuta Resort, which can be found a short distance of Kuta's city center. If you're traveling on a budget, you will be delighted to learn that there is a reasonable selection of lower-priced rooms and apartments in the vicinity of Kuta. 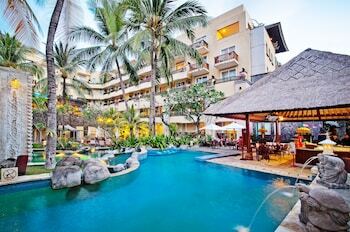 0.3 kilometres (0.2 miles) from Kuta's center is where you'll find the Kuta Angel Luxurious Living Hotel. The Adi Dharma Cottages is only 1 kilometre (1 mile) away. 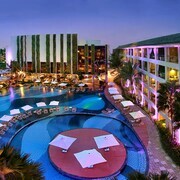 Different budget room options include the Swiss-Belhotel Rainforest and the Park Regis Kuta, Bali. 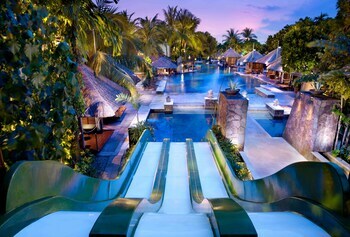 15 kilometres (9 miles) from the middle of Kuta, is the Bulgari Resort Bali. 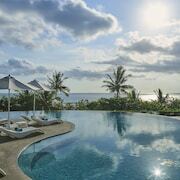 The The Edge Bali is situated 15 kilometres (9 miles) away. 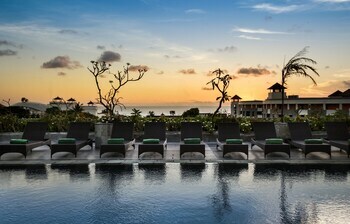 Two more hotel options are the C151 Luxury Villas Dreamland and the Semara Luxury Villa Resort Uluwatu. 5 kilometres (3 miles) away from Kuta you will find Seminyak, where you can visit Seminyak Square and Batu Belig Beach. 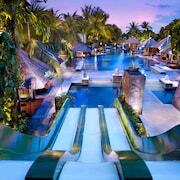 Seminyak hotels include the The Legian, Bali and Bale Gede Villas. Alternatively, you could consider staying at Buleleng, 65 kilometres (42 miles) to the north of Kuta, where you can pick from the Puri Bagus Lovina and Puri Saron Baruna Beach. The Lovina Beach and Dolphin Monument are just some of the more popular places to explore should you visit Buleleng. Before you head home, why not spend an afternoon rubbing shoulders with fellow sports obsessives at a local game. 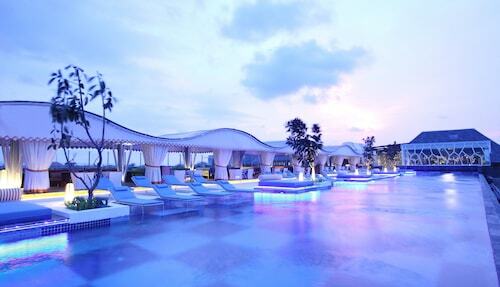 Garuda Wisnu Kencana Cultural Park is 10 kilometres (6 miles) to the south of Kuta. For tourists who are interested in sleeping nearby, make a reservation in the Banyan Tree Ungasan or Four Seasons Resort Bali at Jimbaran Bay. 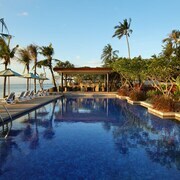 Situated 3 kilometres (2 miles) from Kuta is Ngurah Rai International Airport. Stay nearby at Temple Hill Residence Villa or Karma Jimbaran. 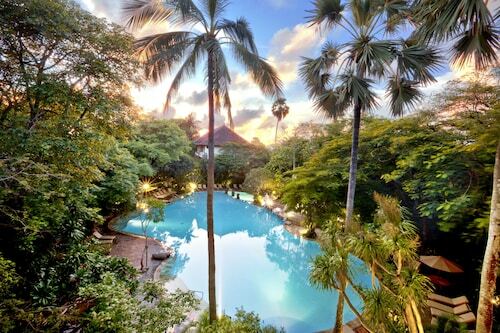 What are the most popular Kuta hotels? 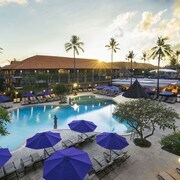 Are there hotels in other cities near Kuta? What other types of accommodations are available in Kuta? Explore Kuta with Expedia.ca’s Travel Guides to find the best flights, cars, holiday packages and more!